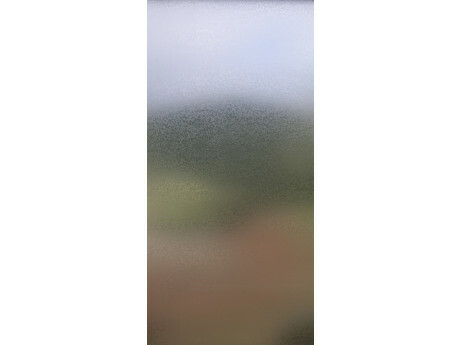 Frosted ice patterned privacy window film for converting plain glass to a decorative modern chic glass. This stylish frosted ice effect patterned window covering is designed for converting clear smooth glass on internal face of glazing or partitions or wherever privacy required. A smart decorative state of the art privacy glass finish. Ideal for DIY where glass is required to look like patterned glass not glass coated with a sticky backed plastic. See how easy film is to fit on our home page video, only 3 mins & 14 secs. long. All orders are pre-cut from a master roll which ensures high quality inspection of the film surface. Pre-cut orders cannot be returned or cancelled once the order has been cut.